A brake rotor is a round flat piece of steel attached to a rod that is held in place on the inside of the wheel. On either side of the rotor are brake pads. When you apply the brake pedal on the inside of the car, the pads compress around the rotor, slowing or stopping the vehicle. The simplest way to explain the function of rotors is to imagine using a plunger to unclog a toilet. You press down on the plunger, it creates pressure and clears the line of debris. The pressure is the key here. Similarly, when you press down a brake pedal it pushes a plunger that creates pressure in the brake lines, which contain a specially developed fluid that is resistant to compression. The pressure runs through the lines to brake pads that are on either side of the rotors, closing the pads around the rotors. Before the fluid gets to the brake pads and after the plunger is applied by the brake pedal, the pressurized brake fluid runs through a "master cylinder," which is nothing more than a hydraulic pump that increases and regulates the fluid pressure that run through a series of hoses to the brake pads on either side of the car's front rotors. (The same principals apply to rear disc brakes that use a drum instead of a rotor, but that is a story for another day). The pressurized brake fluid closes the brake pads onto the rotor cylinder, causing friction. It's the friction that stops the car. The rotor is thick and it is thick for a reason. It needs to dissipate the heat caused by the friction of the brake pads. The brake pads aren't as hard as the rotor and so they tend to wear down faster than a rotor. However, creating all that heat on the rotor can cause other problems, which we'll discuss below. If you do a lot of in-city driving, it is likely you have to stop and go more frequently than driving on a highway. That means you will be heating up the rotor more often and wearing down both the pads and the rotor. When the rotor is worn too thinly, it can no longer dissipate the heat fast enough and catastrophic brake failure can occur. 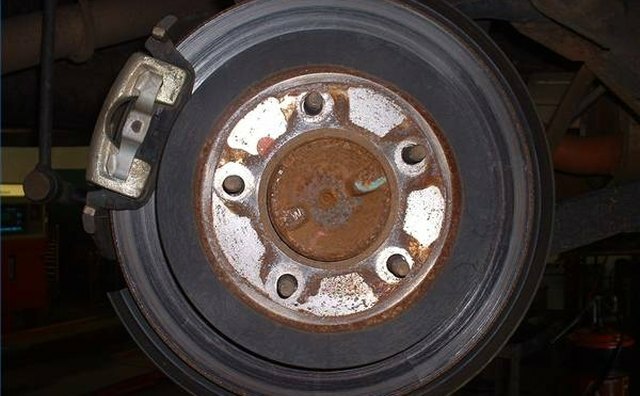 But while the brakes are functioning normally, there are a number of other things that car owners should attend to regularly. 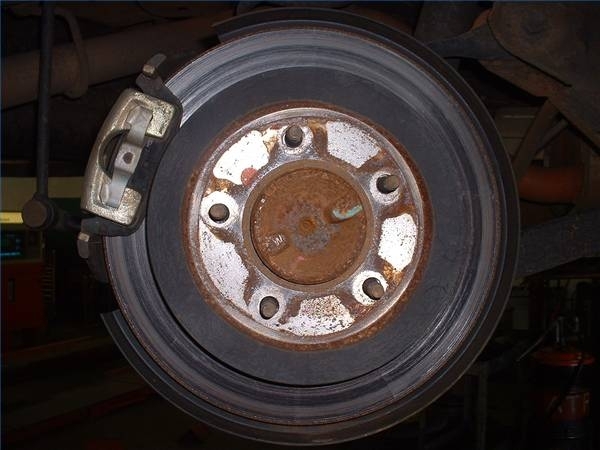 The brakes should be inspected at regular intervals to avoid major and costly repair problems. Brake pads wear out and when they do, you will hear screeching from the brakes. That is very bad. Not only is it annoying to listen to, it means the pads have worn down so much that the metal holding the pads is place is now rubbing against the rotor, wearing lines into the rotor that, if unattended, will ruin the rotor. They are costly to replace so you don't want to wreck the rotor. Pads, on the other hand, are much cheaper and easier to replace. Sometimes, before you get to the metal-on-metal contact, you may notice the steering wheel shimmies in your hand when you brake. This usually means that the rotor has warped from the repeated heating and cooling and has a spot on its otherwise smooth surface that hits higher than the rest of the rotor. Not to worry: if addressed immediately, the rotor can, in most cases, be machine "turned" to make the surface smooth again. This means shaving off a layer of the rotor to smooth it out. Take note, however, that a rotor can only be "turned" so many times before it becomes too thin to dissipate the heat. Then you need a new rotor. Cars that sit an unusually long period of time are likely to develop rust and that includes rust on the rotor. Depending on how severely rusted the rotor has become, it is possible it can be turned and made usable again. If the rust is too thick, replacement of the rotor may be the only option.